I know of many cleaning services in Collier Row and I've tried quite a few of them myself. But from personal experience, I can honestly say that Eva Cleaners has been perhaps the best of the lot. Cost-effective, quick service that is also friendly, I couldn't recommend them more to others seeking a clean in RM5. Our carpet cleaning team is more than efficient in making dirty carpets in Collier Row uncontaminated and clean again. We at Eva Cleaners use state-of-art machines and products in order to obtained best cleaning results. Local people highly trust on our cleaning services because we can make your spotted and soiled carpet appears like a brand new again. Most of the time other cleaners use harsh and costly chemicals to obtain the quick cleaning results. 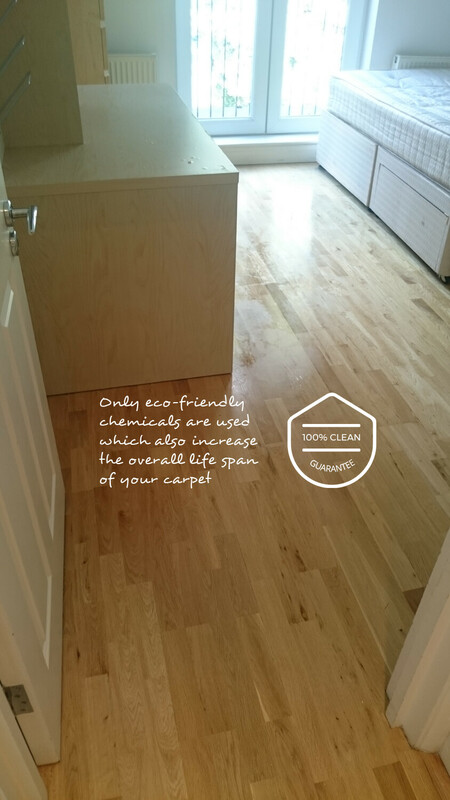 We believe in the long term relationship with our clients and thus use cleaning solutions which improve the life expectancy of carpets and rugs. We Specialise in Professional Carpet Cleaning Services for Your Needs! Our team members are experienced enough to judge the most suitable method of cleaning for your unclean carpets. We use heavy machines which are particularly designed for carpet cleaning in Collier Row. 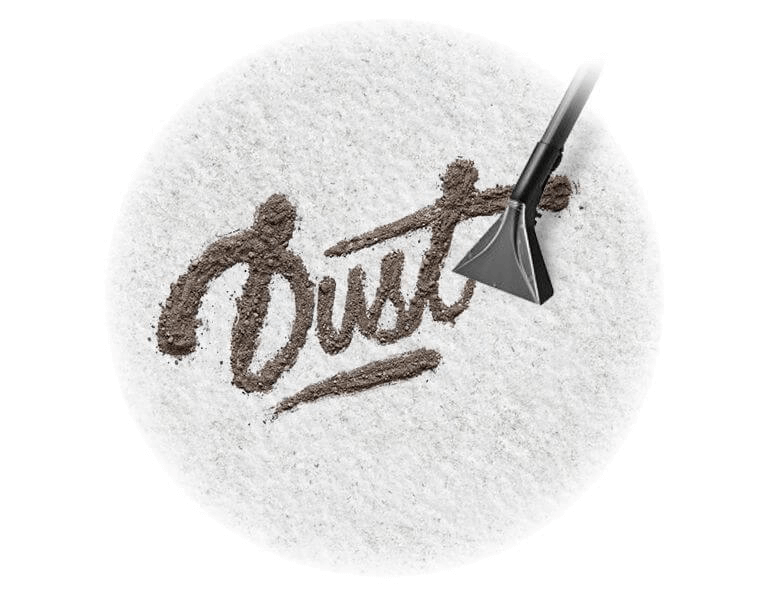 Generally, it is very hard to remove the harmful and sticky particles from dust. Our modern machines and latest products make carpets clean, hygienic and safe to reuse. Call us today and arrange your appointment. Choose Our Company for the Best Cleaning Services! If you are a local RM5 resident and you’ve been searching for a company that specialises in professional carpet cleaning then you don’t need to look any further than Eva Cleaners! Our company has the rug cleaning services that you need, and with our years of experience and friendly experts, we’ll never let you down! 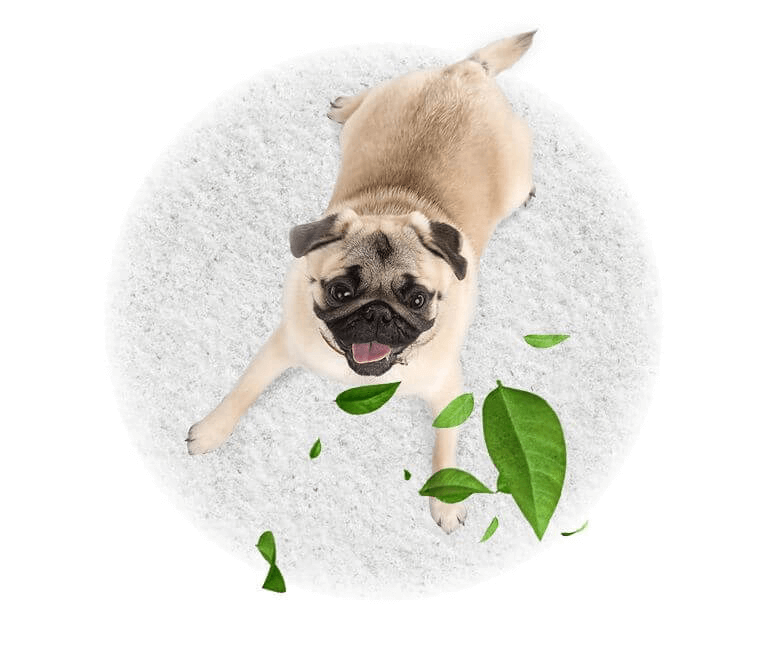 From stain removal to getting rid of odours, there’s nothing that we won’t be able to do for you, and you can even save some cash with us thanks to our discounts, deals and special offers! For incomparable cleaning services at a price you’ll love, call our customer service agents today on 020 3409 1608! 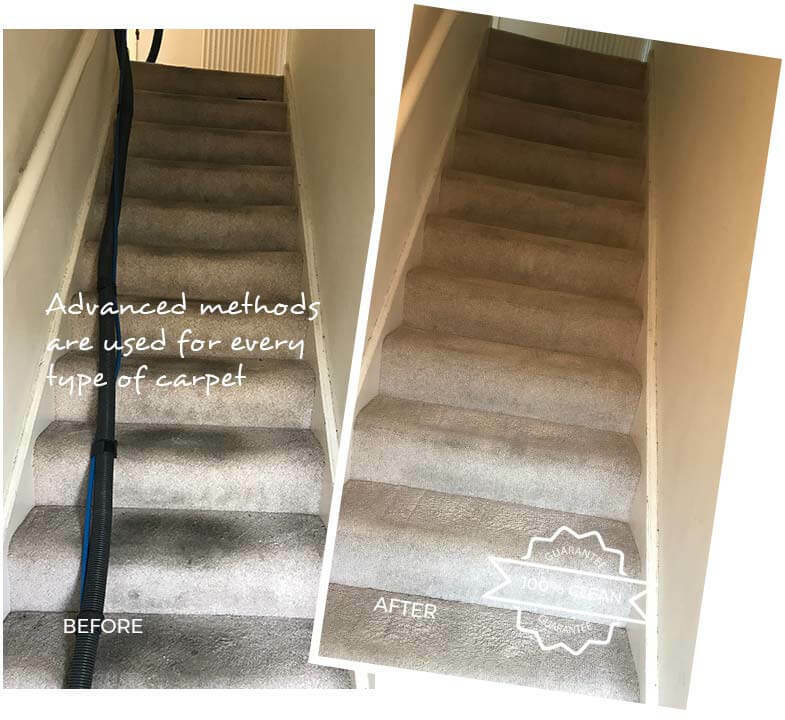 We have been in the carpet cleaning business in Collier Row for many years, and in that time we’ve become one of the district’s favourite companies for cleaning services. We’ll make quick work of your stained, tired-looking or dirty carpets, removing dirt and grime to leave them looking as good as new! We have lots of low-cost cleaning services to choose from, and with quick drying times, friendly experts and low prices, we’re the only cleaning firm that you need to contact for reliable cleaning with guaranteed results. Get a free quote and hire us for your home by giving us a call now! Everyone deserves to have a thoroughly clean home, and if you choose us for your steam carpet cleaning in Collier Row then that’s exactly what you’ll get! We work to ensure that our cleaners are able to provide the best cleaning services because of their experience and knowledge, and we’ll only send you a fully trained and experienced cleaner. Getting the best level of service for your home couldn’t be easier, and you’re guaranteed to be more than impressed with what we can do for you. Get cleaner carpets right now, without having to waste any of your free time, by calling us on 020 3409 1608! Call us today and get 20% off for all our services. Did you know that it’s not just domestic carpet cleaning that our company specialises in? We’re also able to assist you with office carpet cleaning too! Our teams have worked on cleaning many office carpets in the past, delivering fast and discreet services with unobtrusive cleaners. You won’t need to worry about us disrupting your work schedule thanks to our speedy drying times, flexible services hours and friendly cleaners! Keeping your office carpets clean is just as important as in your home, so why risk the health of your employees and the longevity of your office floors? If your office is in the RM5 district then we can help you! Book a cleaner today! What Can You Do In Collier Row? Collier Row is situated in East London within the London Borough of Havering. It is a suburban development that bears the RM5 postcode. It is located about 14 miles from Charing Cross. Collier Row used to be part of Essex, and is today a part of Romford mini-conurbation. Collier Row is surrounded by green-belt parks and land. The area’s shopping district is on Collier Row Road. Access to London has improved in recent years, however Romford railway station, and Hainault and Newbury Park tube stations remain the closest stations. Hiring our expert cleaners isn’t just the best way for you to get immaculate and thoroughly clean carpets – it’s also the best way for you to make some great savings! We offer low prices for every cleaning service that we have to offer, and with our regular deals and discounts on carpet cleaning, you can save even more! Get in touch with us today and get yourself a free price quote with no obligation necessary, and find out more about the discounts that you’re eligible for! Our prices are perfect for every pocket, and you won’t find such great rates anywhere else in the Collier Row area. Find out how much you can save on carpet cleaning by just calling Eva Cleaners right now!